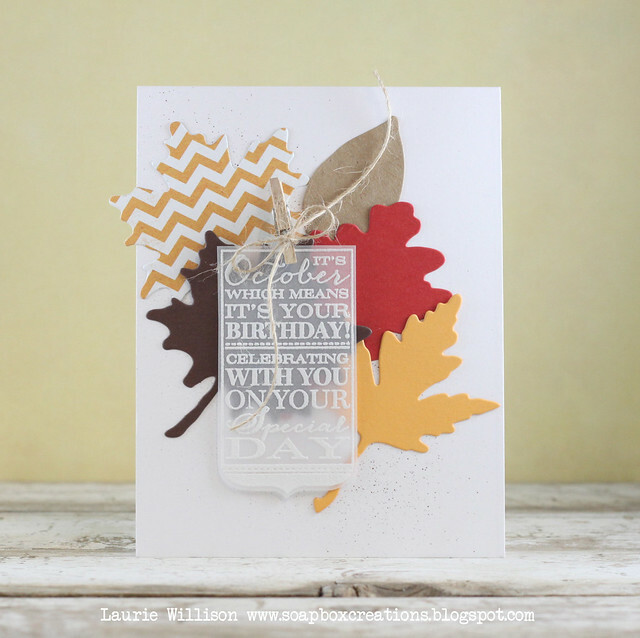 Oh my goodness... Jaw-dropping cards! Love them all. Laurie, you outdid yourself. I love every single one of these. Just perfect! These are GORGEOUS, Laurie!!! Love! 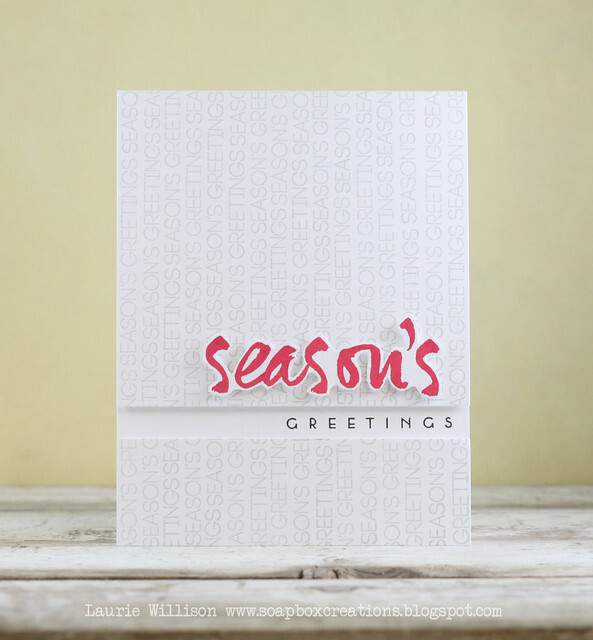 I love all of these -- and especially your non-traditional Season's Greetings! Really fabulous! 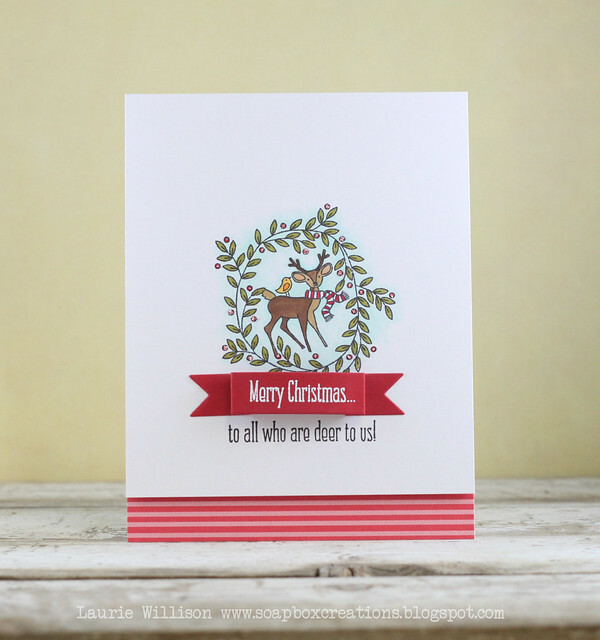 Gorgeous cards, Laurie. I am so glad to hear you admit you do not color. I don't even try. You did an amazing job! 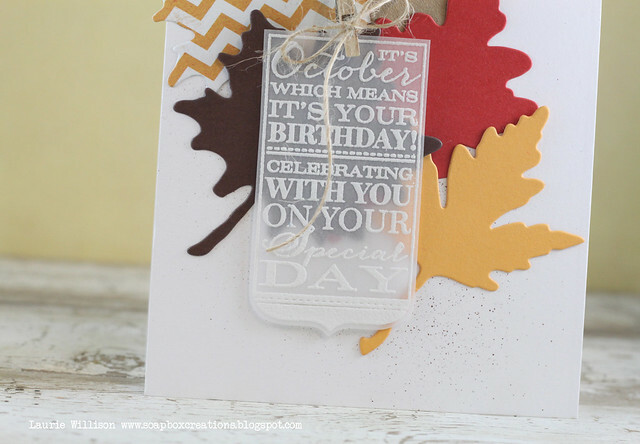 I really love the fall October B-day card! What a great wrap up! 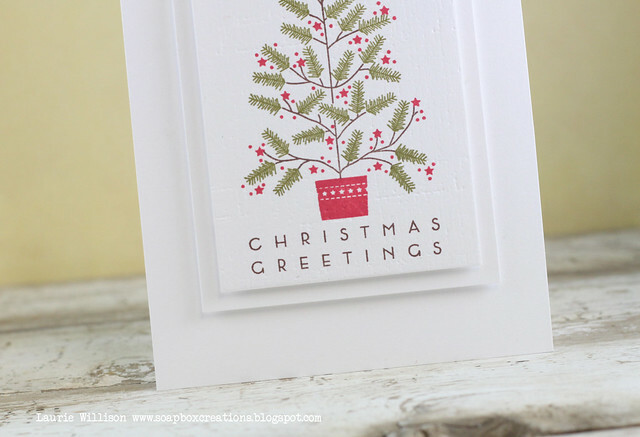 I especially love the tree on the first card, so sweet! My second favorite is the one with that great cluster of leaves. Oh my, these are super cute! I love the simplicity of the last card. Easy to mass produce at this time of the year. And not being a great coloring person myself this one is perfect. Love all your cards Laurie, so perf;ly yu. The last one with the season greetings background you created is awesome! You always have a slightly different, and absolutely lovely, take on each product. 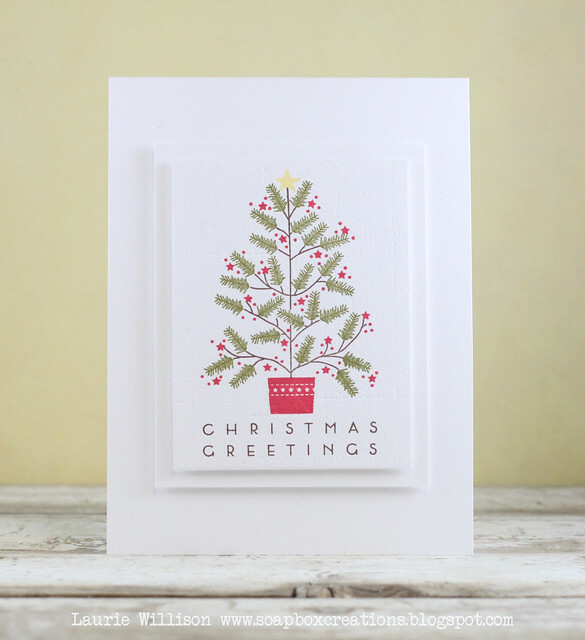 I love them all, particularly your use of the Joy die - it's lovely on the softly flowered paper. Every card today is wonderful! Love them all. Love all your cards! I like the joy on the happy floral pattern, how you layer up your papers, make pathways for sentiments, many interesting details! 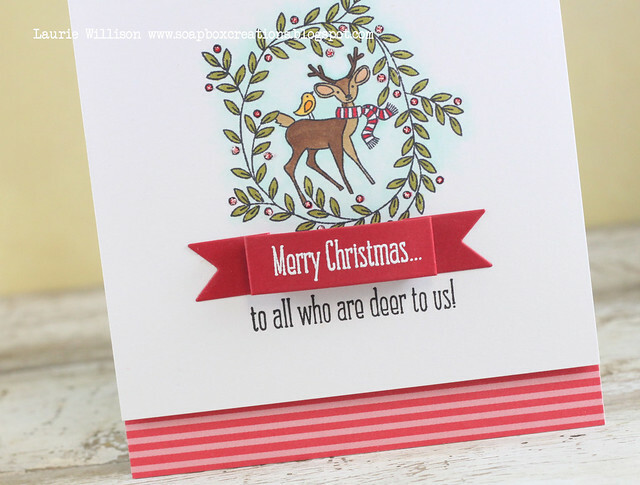 WOW, all of these cards are simply gorgeous, Laurie!!!! Love them!!! This post is so full of goodness! The first and last cards in particular have my CAS heart singing! Beautiful work! Adore ALL of these! Seems like I pinned every one, too...you know, so I can admire them again and again. Your cards are just perfection. These are all fantastic, Laurie! Once again, you've done an amazing job with the new PTI goodies! Oh laurie! all of your samples are gorgeous!!! i love this months release. so spectacular and you have showcased them so well! I'm with Heather, AHmaaaaaaaaaazing creations Laurie. 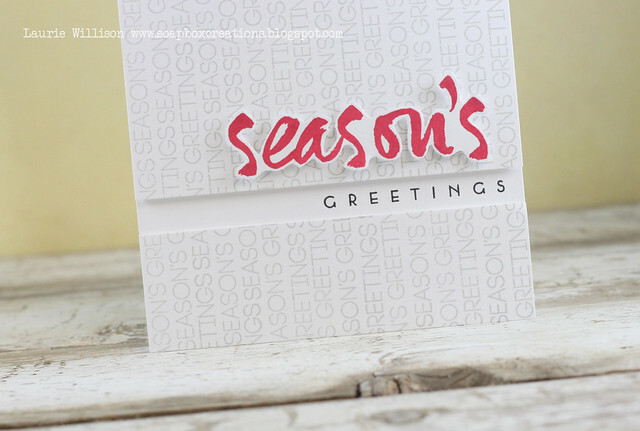 I love love love how you did the Season's Greetings.